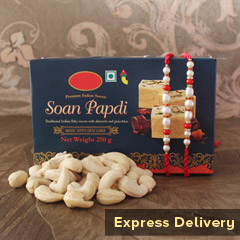 If you want to impress both your brothers with very dazzling and intricately designed Rakhis then here we have the Rakhi set for you to make choice for. 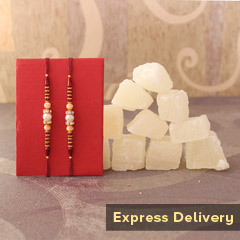 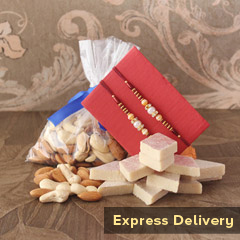 It’s an impressive Rakhi set containing two very different Rakhis for both your brothers. 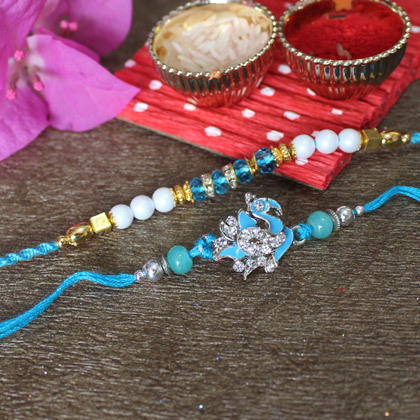 One of these is an attractive Blue, White and Golden Beaded Rakhi and another one is a Blue and Silver Stone Studded Peacock Rakhi for beautifully adorning their wrists.